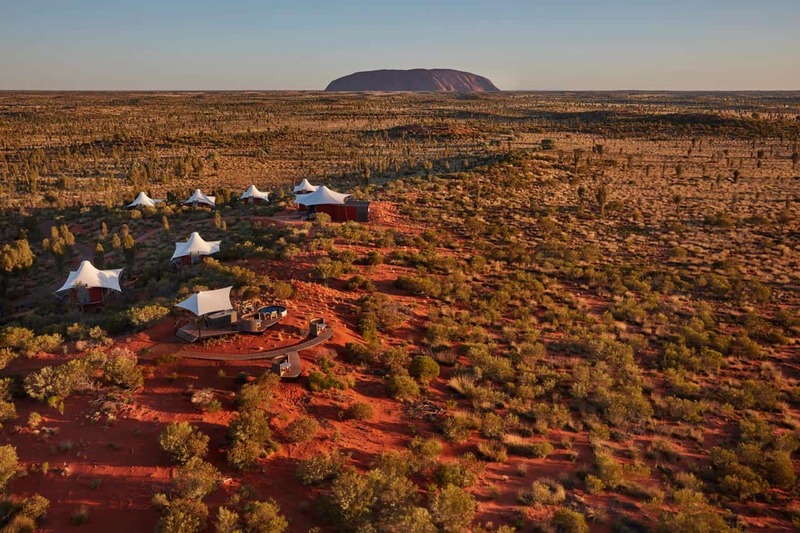 Longitude 131° is among Australia’s most acclaimed luxury wilderness retreats – an exclusive collection of 16 tented pavilions with unrivalled views of the country’s best-known natural wonder, Uluru (Ayers Rock). Situated adjacent to the World Heritage-listed Uluru-Kata Tjuta National Park, Longitude 131° offers superb contemporary accommodation in the style of a luxury desert camp, right at Australia’s spiritual heart. Each of its tents has been carefully designed to have minimal impact on the delicate natural environment, standing lightly upon red sand dunes to provide an intimate encounter with the vast and unspoilt outback landscape. Guests at Longitude 131° adopt the spirit of the original pioneers, relaxing after a day’s exploring in canopied pavilions, recreated for the 21st century as sanctuaries of earthy elegance. Custom-designed furniture from contemporary Australian designers offers stylish lounging, whilst the bespoke ‘Baillie Bed’ dressed in organic linens and luxurious throws holds centre stage. 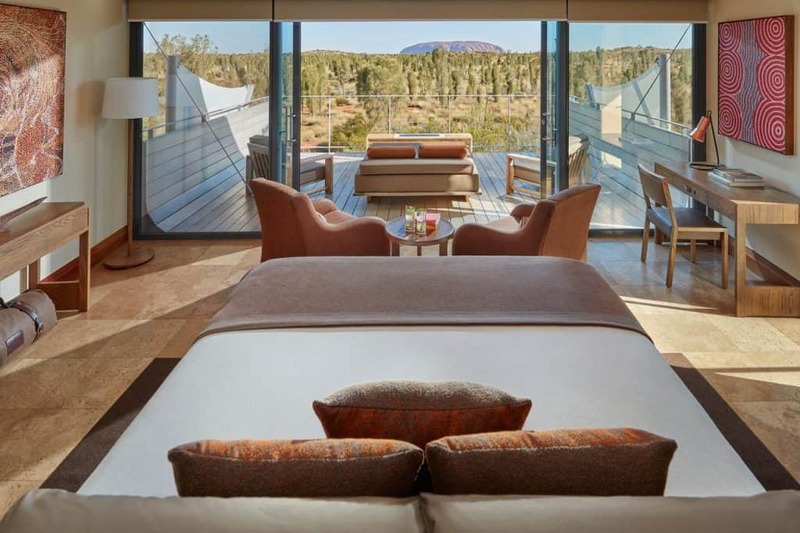 Private floor to ceiling windows yield unparalleled views of Uluru, quite literally at the end of the bed. With a commitment to conserve precious water in this desert environment, an ensuite bathroom features a generous shower with spacious vanity basin and sliding mirror offering remarkable views of Uluru. An expansive balcony with sumptuous day bed, armchairs and feature fireplace offer new perspectives to drink in the view. A small desk is equipped with an iPad and music system for entertainment and the in-suite bar proffers a selection of Australia’s best loved gourmet treats to complete the in-tent experience. 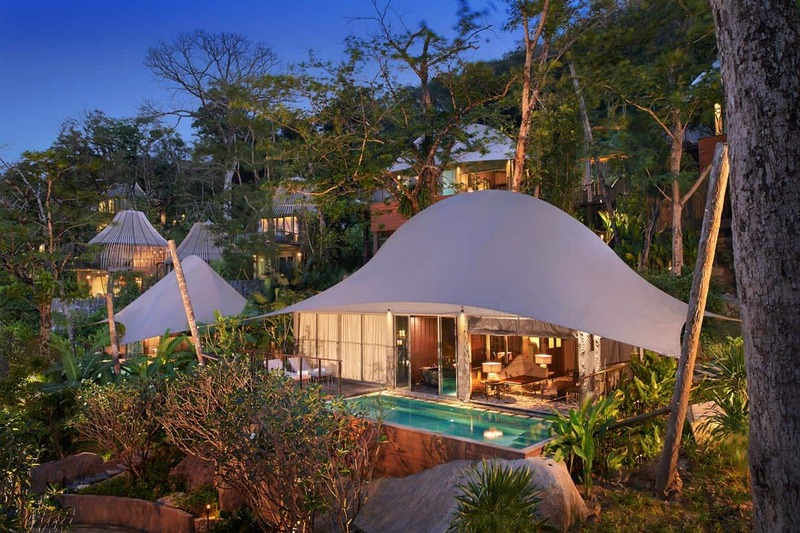 Keemala, due to its tropical rainforest location is serene and is the ideal place to enjoy quiet time whilst immersing in the luxury of 5 star resort services. Resort reflects an invigorated and healthy mindset, and an appreciation for nature and relaxation. 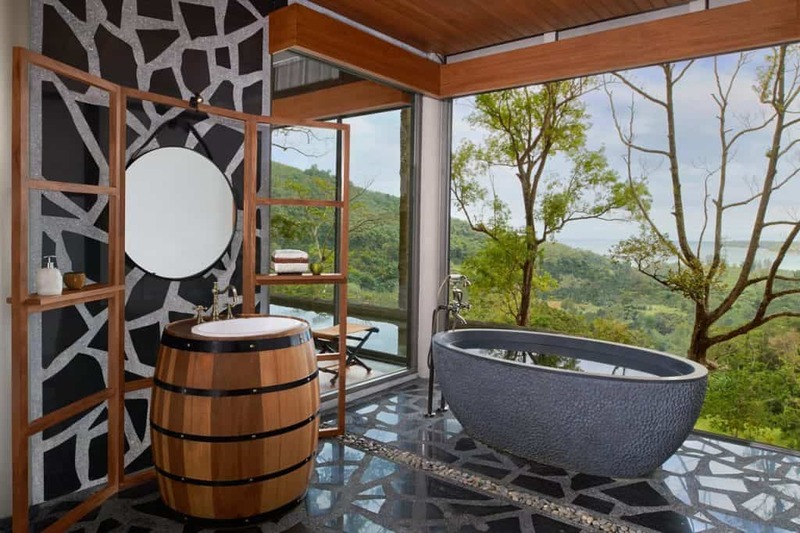 Keemala and its grounds are designed as an expansion of the surrounding landscape, making use of natural features such as mature trees, streams and waterfalls and integrating these into the overall design and creating a wonderland for guests to enjoy. Keemala is the perfect place for honeymooners, couples and guests wishing to get away from it all. Inside the Tent Pool Villas guests will see the forms of wildlife and textures have inspired the interiors, materials were also chosen to highlight pursuant lifestyle of an adventurous group consisting of foragers, herders, performers, traders and explorers, who spent their time trading goods with other tribes they encountered on their journeys. Tent Pool Villa feature outdoor terrace, sun loungers, a private pool, luxurious interiors, bathtubs, monsoon showers, complimentary Wi-Fi, tea and traditional coffee maker, smart TV, blue tooth speakers, IDD telephone, well-stocked larder, personal safe, hair dryer, resort bag and umbrella, pampering natural bathroom products, bathrobe and slippers. Shinta Mani Wild is a radical new concept for a luxury camp experience in Cambodia, combining world class design, hospitality and conservation to create a new model for public/private partnerships. 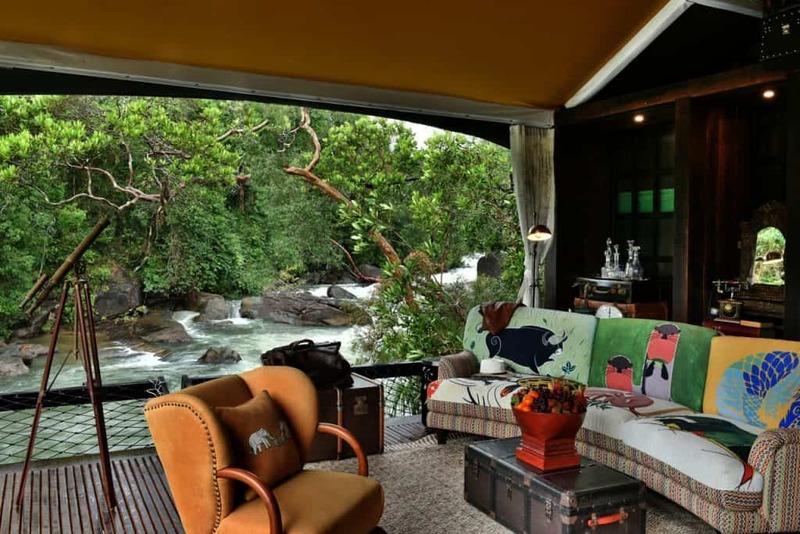 Set along 1.5 kilometers of river and waterfalls, Bensley has set out to create his most ambitious luxury camp project to date. Fifteen 100sqm, custom designed tents are perched over the swift moving waters and waterfalls, providing a view and experience unlike any other resort in Asia. 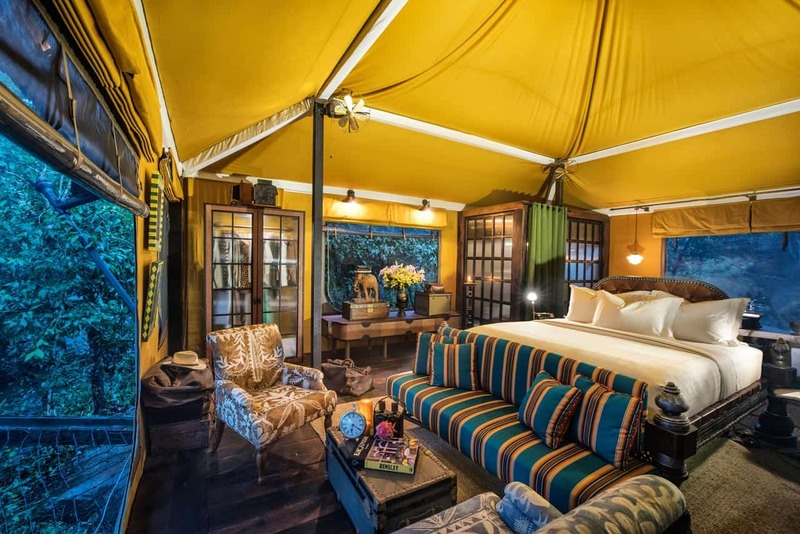 Each tent has been meticulously designed to invoke the feeling of what it would have been like to be on a luxury safari in the jungles of Cambodia. To the southeast of this private sanctuary, guests will be able to spend a day exploring the untrammeled waterways of South East Asia’s last wild estuarine ecosystem aboard one of Shinta Mani Wild’s private, Bensley-designed, fully-equipped luxury expedition boats. To the north, guests will be able to accompany rangers and researchers as they check camera traps and study the wild forests and their inhabitants – a unique opportunity to explore these untamed lands with the people that know them best.